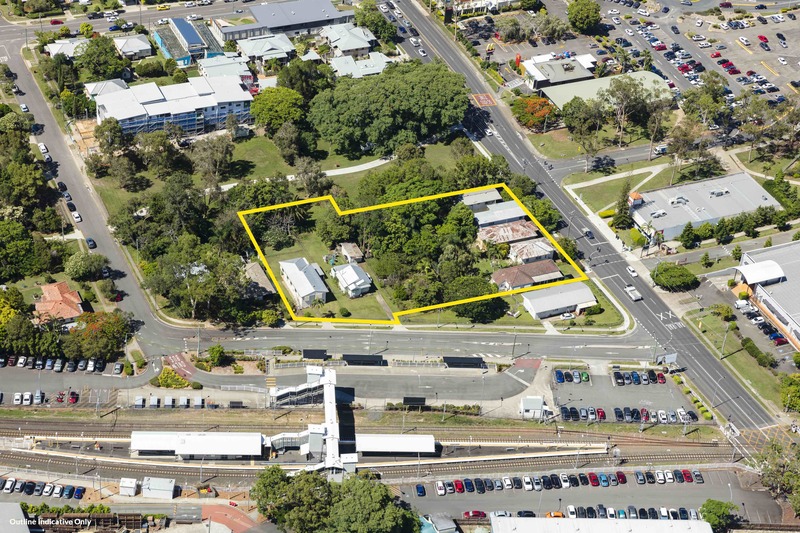 Expressions of interest are being sought for a development site in the rapidly growing suburb of Mitchelton, at 3-5 McConaghy Street and 66-74 Osborne Road, through Ray White Special Projects Queensland. ‘Parkside Mitchelton’, which has an expansive 4,759 sqm* site area, backs onto local council parkland to the north with over 90m of park frontage and benefits from being adjacent to Mitchelton train station and Brookside Shopping Centre. The development site is being marketed by Ray White Special Projects Queensland together with JLL Metro Sales and Investments. Tony Williams from Ray White Special Projects Queensland said the development opportunity and the trending price growth in Mitchelton would really appeal to potential buyers. Pictured: 3-5 McConaghy Street and 66-74 Osborne Road. Image supplied by Ray White Special Projects Queensland. “Opportunities of this scale within the north-western corridor are extremely rare, but even more-so are sites which feature strong fundamentals including dual street frontage, with close proximity to transport and amenity, as well as code assessable zoning for up to five storeys,” he said. Tim Jones of JLL pointed to the strengthening Mitchelton market indicating, “The median unit price within the Mitchelton catchment has improved from $350,000 in 2013 to $435,750 today, an increase of close to 20 per cent* in just five years. View 3-5 McConaghy Street and 66-74 Osborne Road on Ray White Special Projects Queensland. Mark Creevey of Ray White said the attractive parkside outlook, excellent amenity and public transport were added drawcards. “Along with dual street frontage to McConaghy Street and Osborne Road, the site features more than 90m of frontage to local council parkland to the north, offering a great outlook as well as recreational space for future developments,” he said. Sam Byrne of JLL highlights the proximity to retail amenity. “The site is walking distance to two major retail hubs, Brookside Shopping Centre to the north, anchored by four major tenants and over 120 speciality stores, and Blackwood Street to the south, which features a mix of strip retail, cafés/restaurants and professional services. Expressions of interest close on Thursday 14 March at 4 pm. For more information contact the listing agents via the contact details below. Visit Ray White Special Project Qld's website.